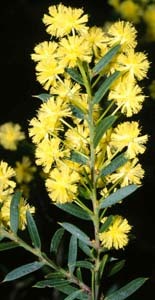 Acacia genistifolia is one of several species of Acacia with narrow, hard, sharp, pointed phyllodes. 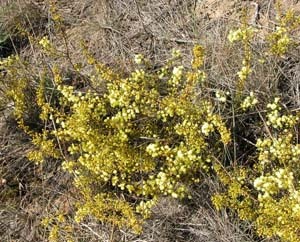 It is a very common species in dry heaths. 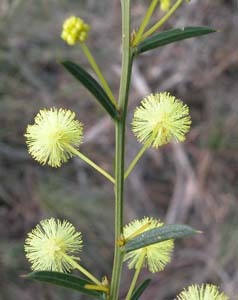 The distinctive feature is the green, angled stems and the flowers in spherical heads on relatively long axillary pedundles.